The Foundation shines a light on areas or topics that are critical to economic growth in the state whether it’s increasing broadband access; the importance of early childhood education; or increasing investment in transportation infrastructure. 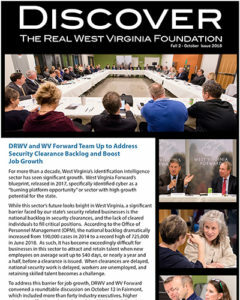 The organization works to bring together various stakeholders and facilitates actions in areas important for West Virginia’s future. West Virginia Broadband Summits—these summits have focused on bringing high speed broadband access to rural areas of the state. Accessibility to high speed broadband is critical to small business growth as well as attracting companies to West Virginia. These programs have brought together the state’s leading internet providers and officials representing consumers to find solutions to this critical issue. Transportation & Infrastructure Summit—reliable and innovative transportation infrastructure not only keeps our citizens safe, but it is also critical to helping us attract the businesses that create jobs and the residents who drive economic development. Early Childhood Development Forum—early childhood education plays a critical role in reducing poverty and growing the state’s economy. The Foundation brought Geoffrey Canada, a national pioneer in education, to the state to speak about successful models in early childhood development and how these models can and have put children on the path to a brighter economic future. 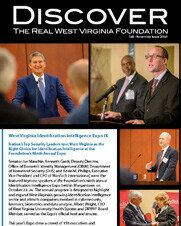 West Virginia Homeland Security Summits—following September 11, 2001, the Foundation has held four summits held across the state in partnership with the WV Department of Military Affairs and Public Safety focused on preparing West Virginia for an emergency and identifying the resources, capabilities, and technology needed to meet a natural disaster, terrorist attack or accidents involving critical infrastructure. 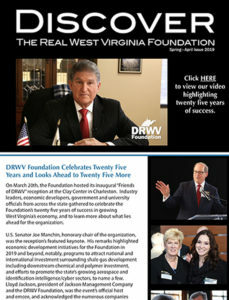 West Virginia Forums on Innovation & Technology—in 2001, the organization hosted the first of several forums to help residents of the Mountain State address the changes that are affecting the economy and to assist them in figuring out ways that West Virginia can be competitive in the 21st Century. 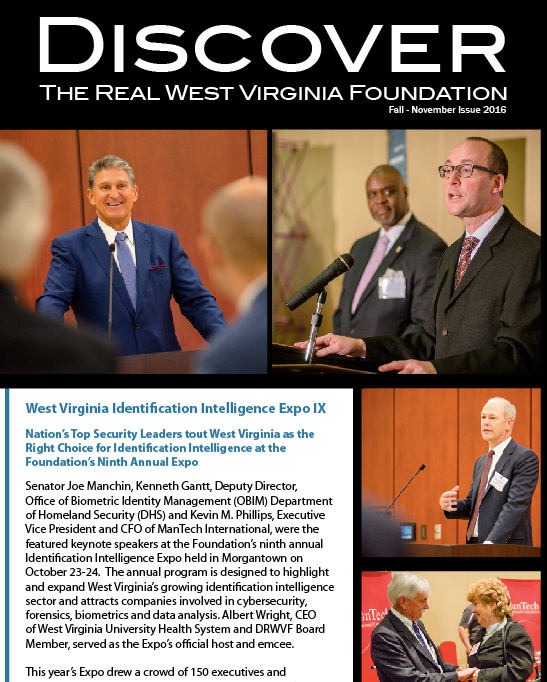 These forums became the standard for introducing or highlighting important economic development topics, including venture capital, the use of IT to increase the competitiveness of traditional industries and biometrics. Forum Speakers have included former Chairman of AOl, Steve Case and Ray Lane, Managing Partner of the venture capital firm Kleiner Perkins Caufield & Byers.